April Fools Day is traditional a day of jokes and jest, but this year car manufacturers have been getting involved with a range of spoof launches. Citroen has announced a special Arsenal edition of the forthcoming C4 Cactus. 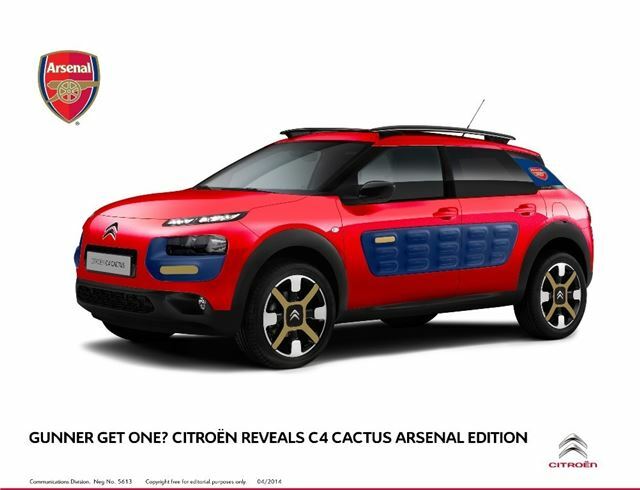 Limited to just 11 models and kitted out in the red, blue and gold shades of the Gunners’ iconic crest, the C4 Cactus Arsenal showcases new technology to help the Club’s most dedicated supporters follow their beloved team in comfort and style.